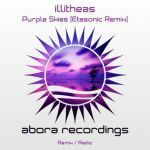 The acclaimed producer Maratone teams up with the talented vocalist Kim Kiona for some deeper grooves on Abora Progressive. This is 'Sidewalk'. There's no more beautiful place than the comforting progressive beats and soothing melodies that the Danish producer can provide. These harmonies blended with Kim Kiona's beautiful and soulful voice excel in satisfying your deepest emotions. The release also includes an all-instrumental version of the track with the dub mix.